Question: Is this plant herming? "Herming" means turning into a hermaphrodite, which is a plant with both male and female parts. Learn more about cannabis hermies. 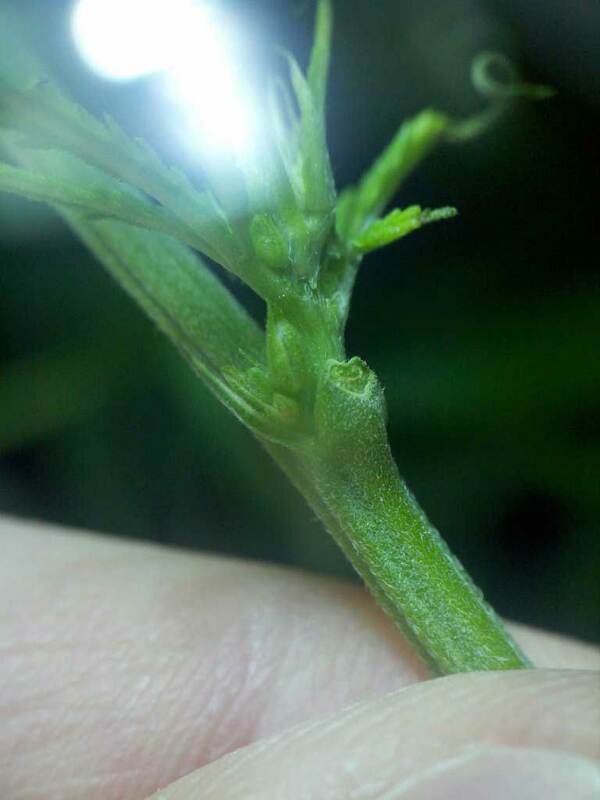 Most growers only want female plants, since these produce buds. 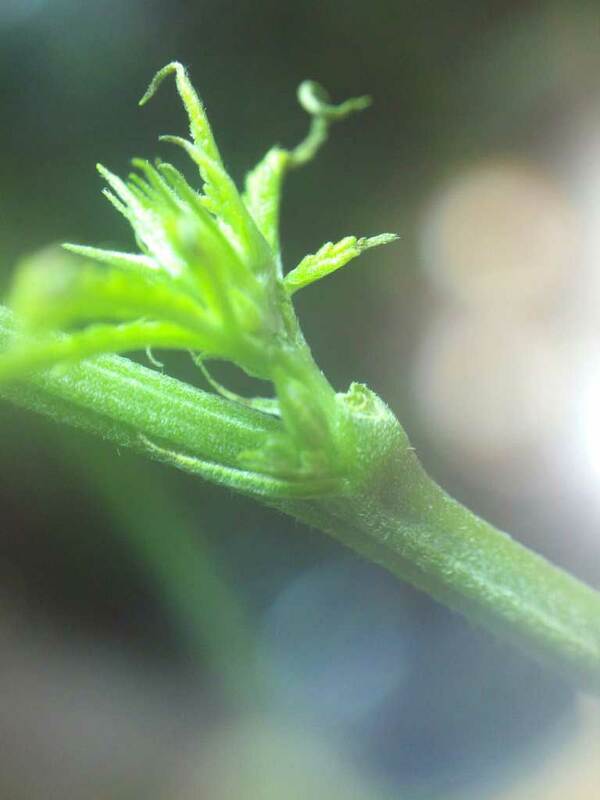 Male plants will pollenate female plants, producing seeded buds with low yields. 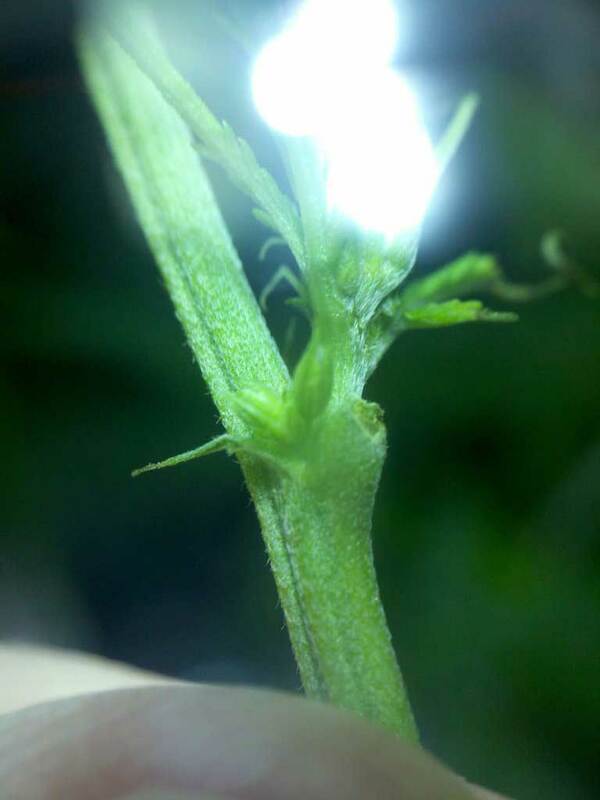 When a female plant is stressed by heat, nutrients, pH problems, etc, the plant can grow male parts like this. These pollen sacs can pollenate your garden just like a male plant, which you don't want to do by accident. It is advised that you remove this plant from your other female plants to prevent cross-pollination. At the very least, make sure to remove ALL the balls, and continue to carefully inspect the plant. 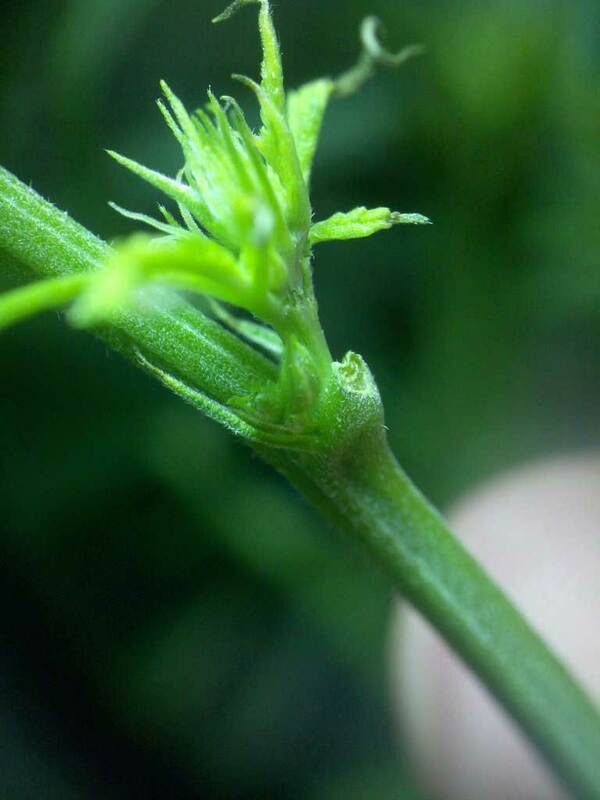 What is the difference between male and female plants?